Reconnect with your fellow IRMA Members and Sponsors for the Opening Reception of IRMACon2018. Errol Laborde kicks off the evening with the President’s welcome. Matt Masich, Editor, Colorado Life, presents the best things to do and see in Denver. Looking for ways to stretch your digital dollars further? Join Denver-based advertising executive Adam Vest as he presents quick wins within the digital space. Discover the advantages and disadvantages of online marketing and gain insight into some of the most important and basic aspects of SEO. This session will not only explore ways to get the best ROI for your digital spending, but also suggest ways to increase consumer engagement online. 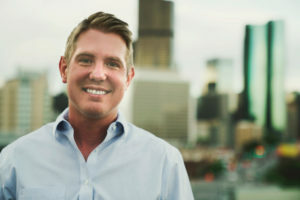 Adam Vest is the president of My Denver Digital, a boutique advertising agency specializing in search engine optimization and content marketing. Vest graduated from Ball State University in 2008 with degrees in business and telecommunications. In 2010, he became one of Verizon Wireless’ youngest franchisees. A leader in the online advertising industry, Vest recently launched the Colorado events and lifestyle website www.denverdigital.com. Experts discuss industry trends and how to combat people who insist print is dying. Moderating by Errol Laborde, Editor-in-Chief, Louisiana Life Magazine and IRMA President. 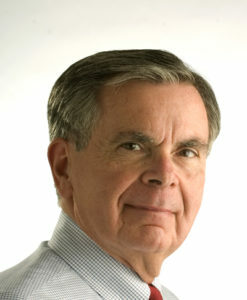 Fred Brown retired from The Denver Post in 2002 after having spent most of his career covering government and politics. He currently teaches communication ethics at the University of Denver and is active in the Society of Professional Journalists. He was SPJ national president (1997-98), chairman and current vice chairman of its ethics committee (1995-present), one of the authors of SPJ’s widely used code of ethics (1996 and 2014 versions), and editor of the fourth edition of the Society’s ethics handbook/textbook, published in March 2011. He serves or has served on several local and national boards of directors, including those for the Sigma Delta Chi Foundation, Colorado Public Radio and its Community Advisory Board, and the Colorado Freedom of Information Council. He is a graduate of Colorado State University (B.A. 1961) and has a master’s degree (1963) from Northwestern University’s Medill School of Journalism. Colorado State named him to its inaugural Journalism Hall of Fame in 2011. He also is an honor alumnus of CSU (1992), a Colorado Press Association Newspaperperson of the Year (2001), and a recipient of SPJ’s Wells Key in 2006. 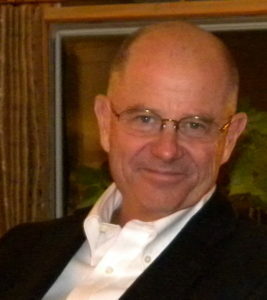 Kip Wotkyns is a Professor of Journalism at MSU Denver. On May 4, 2018, he was promoted to the rank of full Professor, the highest academic level attainable in the profession. Prior to his encore career, he was a working journalist for 24 years. Previously, he worked for Time Inc. for 14 years. He was a reporter for FORTUNE magazine and a copy editor for TIME magazine. He was also the President of Leman Publications Inc., a magazine publishing company formerly owned by Rodale Press Inc. His undergraduate degree is from Stanford University, and his graduate degrees are from Columbia University. Join the conversation about common problems, uncommon or common solutions, in-house versus outsourcing, recent results, and more! Jan Chandler is Division Vice President- Publishing and Solo/Continuity at Wiland. Jan joined Wiland in 2006, following a long career at Neodata, a subscription fulfillment company, and CK Media, where she served as the billing and renewal manager. In her current role, Jan oversees the client service and sales teams for her vertical and is responsible for a client roster that consists of the Who’s Who in publishing, as well as the leading brands in the subscription and solo/continuity space. 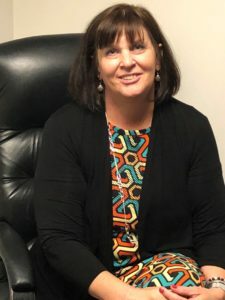 Jan earned her Bachelors of Science in Business Administration and a Masters in Organizational Leadership from Colorado State University, returning to school as an adult learner. When she’s not championing on behalf of her clients, she enjoys spending time with her family- particularly her four grandchildren- enjoying the Colorado outdoors. Learn more about creative visual storytelling and how to improve the photography in your magazine. Joshua Hardin, Photo Editor, Colorado Life, Nebraska Life and Utah Life, and Justin Joiner, Creative Director, Wyoming Wildlife will lead the discussion. And Thomas Whitney from our Gold Sponsor Democrat Printing will share some tips on printing photos! From trade shows to cruises to cocktail parties: All things events and how you can make them better! Keynote: How to look at your magazine to make it more attractive, accessible and fun. Dave McKenna has been the art director of 5280, Denver’s city magazine, since 2010. Before making the leap to the Mile High city, McKenna was the art director of National Geographic Adventure in NYC and part of the team that garnered a National Magazine Award nomination for General Excellence. McKenna’s work has also been recognized by the Society of Publication Designers (SPD), American Photo, American Illustration, the City & Regional Magazine Association (CRMA) and was a Folio 100 honoree in 2016. He lives in Denver with his wife and young son. Join IRMA colleagues as we discuss successfully executing print advertorials the right way; using your editorial calendar to target bundles for buyers; creating forced buys to combine print revenue with digital and events; and taking advantage of premium ad positions. Attendees should bring their best print-revenue sales events to share with the group for the chance to win a prize! Who’s doing long-form and how is it working? Or not working? What makes a “good magazine story” that readers will actually read and cause them to renew. Join Emily Stone, Executive Editor, Texas Highways Magazine for a lively discussion. 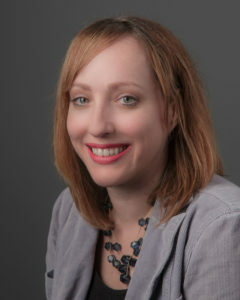 Emily Roberts Stone is the executive editor of Texas Highways, the official travel magazine for the state of Texas. Previously, she served as senior managing editor for a newspaper group in Houston where she oversaw 10 hyperlocal editions. Originally from Southern California, she founded two regional magazines in Orange County and co-authored a children’s history book about her hometown. She lives in the Austin area with her husband and their two children. Open Space Technology, also known as the “Un-meeting,” is a collective exercise used to tap into leadership and creativity. Open Space in this case is a way to convene IRMA members in a refreshing new way. It enables groups of any size to address the complex, important issues that drive our business today and achieve meaningful results quickly. Please refer to our Things to Do in Denver page. Staff will be onsite to help organize group outings. Brian Kevin, Managing Editor, Down East will tell you all about their very successful Maine Scavenger Hunt. 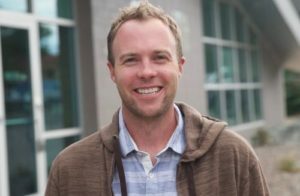 Chris Amundson, Publisher of Nebraska Life and Colorado Life will share their experience in “Starting Another Magazine: Utah Life”. Joan Henderson, Director, Travel Information Division, Texas Highways presents a fun talk on “What your color spectrum says about you – Improving communications with a simple color spectrum personality test”. And Todd Goodyear, President, Downhome will show you how to set sail on the high seas with “Downhome Cruising in the Caribbean”. Bring your ideas to the open mic time! Join Benjamin Jones of Image Brew to learn how to make video a part of your successful world. Let Ben create a snapshot of the latest video trends and get inspired to use video. 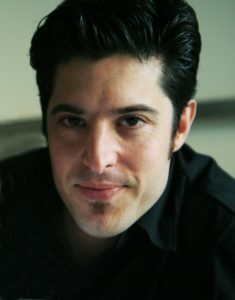 Benjamin Jones began his career in production while working for Straight Up Films, a film production, development, and finance company located in New York City. Ben fell in love with the magic of cinema while working on the sets of independent films alongside actors such as Alec Baldwin, Robin Williams, Toni Collette, and Jason Ritter. Armed with an education in interactive art and design, Ben founded Image Brew in 2006 after sensing the future growth of online video. Inspired by the highest level of production he witnessed in New York, Ben was driven to offer a cinematic level of production to organizations around the globe. His goal was to create a collaborative shop with like-minded individuals who wanted the same thing: a production environment that fosters creative freedom and risk-taking. This has become Image Brew’s founding roots. “Beyond T-shirts” selection, pricing, catalog, warehousing, fulfillment, and more! Learn how to improve your covers. How to engage your readers with contests, social media and events. Member-led discussion about best practices for custom publishing, working with clients and more.